This police procedural from New Zealand is the first volume of the Sam Shephard series. Gabriella thinks she lets a telephone repairman into her house, but her visitor has something else in store for the young mother. After the quotation I shared with you the other day, I was caught up in this story, wishing I could forget about work and just sprint through the story. I had to know who and why! No more about the plot – it´s fine – enough said. And though the prologue would be tough reading for most parents, this is not a graphic story that revels in gruesome details. Sam Shephard is a small, twenty-eight-year-old cop who grew up having to prove she could do everything a bit better than her brothers. She is an interesting protagonist who is down-to-earth and easy to relate to. She is not exactly used to ugly murder cases, and as she knows Gabriella´s family far too well, it is difficult for her to draw the line between work and personal involvement. First of all she is a good police woman, however, always dogged and determined, using her brains and any other resources at hand to get results. The story offers a good sense of place. Mataura, New Zealand, is a world which is different from mine in some ways, yet I have trod in my share of cow dung and felt oddly at home in this farming community. Did I remember to mention there is also a touch of humour? Vanda is a friend from my Crime and Mystery FriendFeed room, and when she heard my lament about how difficult it was to get her debut in Europe, she sent me a review copy with a lovely inscription. But as Vanda has landed a London agent recently, there is hope that this great series will be published closer to my home soon (her latest novel is on the New Zealand bestseller list right now). We are keeping our fingers crossed, Vanda, because we want access to your Sam Shephard books! 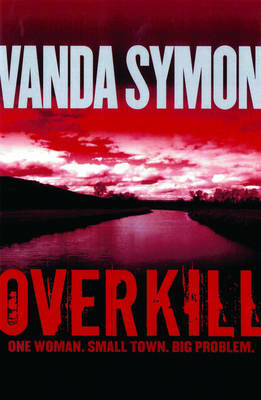 This entry was posted in 2011 Global Reading Challenge, debut, New Zealand, review, review 2011, Vanda Symon. Bookmark the permalink.